The Counseling Center is a private, not-for-profit corporation providing comprehensive and confidential mental health services in Wayne and Holmes Counties. Typical problems for which people seek assistance include depression, anxiety, child behavior difficulties, relationship problems, grief and loss, job difficulties, sexual and physical abuse, suicide, and stress related disorders. The Center provides assistance to over 3,500 individuals each year and reaches over 8,000 additional residents through mental health related educational programming. 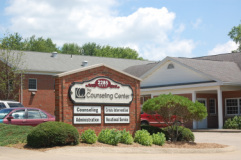 The Counseling Center's 124 staff members include professionals in the fields of psychiatry, psychology, social work, counseling, and psychiatric nursing. Established in 1953, the Center is a contract agency of the Mental Health and Recovery Board of Wayne and Holmes Counties. The Counseling Center is nationally certified by the Commission on Accreditation of Rehabilitation Facilities (CARF) and is also certified by the Ohio Department of Mental Health. Services are provided on a nondiscriminatory basis and can be arranged by calling any office location. A sliding fee scale is available. Medicaid, Medicare, and most private insurances are accepted. The agency is organized into four main service areas which include Clinical Services, Operations, Finance, and Rehabilitation and Recovery Services. The Counseling Center is supported in part by the Mental Health and Recovery Board of Wayne and Holmes Counties, Orrville United Way, United Way of Wayne and Holmes Counties patient fees, grants and donations.